For the most part, movie posters only need one direct or striking image to grab the attention and turn someone from a potential viewer into someone whose interest is so piqued they’ll want to see the movie as soon as possible (well, mostly – there’s always someone who’ll resist). 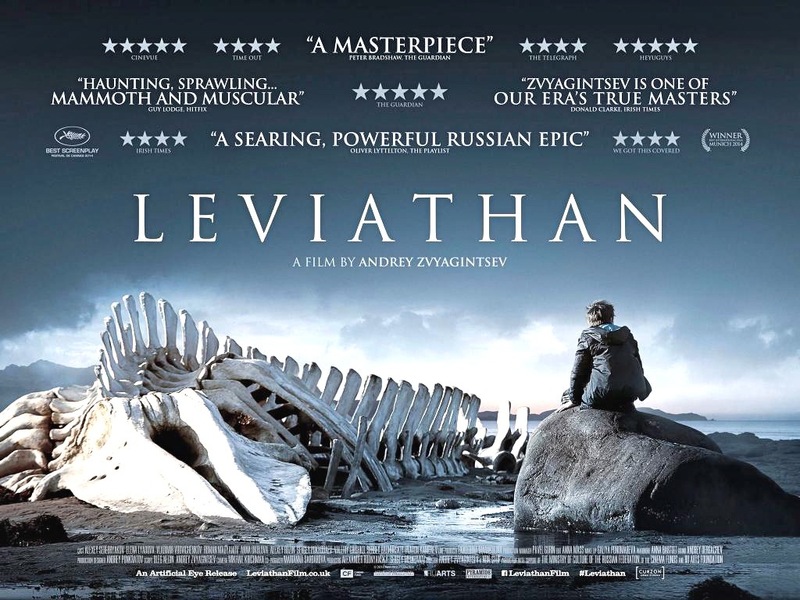 One such poster is for the Russian movie Leviathan. From the start, it’s easy to see why this poster is so effective. A man sits on a rock on the edge of the sea. His back is turned to us, and if this was the only part of the image we could see, then we could assume that he’s looking out across the water, perhaps watching the mountains we can see in the distance, or the horizon. We might think he’s looking wistfully, or anxiously, or even desperately, but still we wouldn’t know for sure. But the wider image – the whole image that we can see at once – tells us he’s looking at the remains of a large sea creature, in all likelihood a whale. He’s looking at this giant collection of bones, but the best part is: why can’t he still be looking at it wistfully, or anxiously, or even desperately? Of course, none of these things might apply, but it’s still a lonely, melancholy image to look at, and a reflection of the tone of the movie perhaps. It prompts many questions as well. Why is the man there in the first place? What has brought him to this spot? And why are the whale’s remains still there so long after the flesh and muscle and sinew has been picked from it? Why haven’t the bones been removed? (Perhaps it doesn’t matter if they’re there or not; are they worth so much attention?) Is the man fascinated or horrified, or unmoved even, by this display of the apparent complacency of nature? Is he there out of curiosity, or respect? Does he see himself, or his future perhaps, there in the jutting bones of a once-proud sea creature? Or is it a more immediate reflection of the man’s life and circumstances? Of course, it could all be none of these things; none of them might be relevant. But that’s the beauty of the poster: it provokes so many ideas about what the image might mean, both in terms of the character, and the movie itself. So the movie becomes a challenge: to see if any of these ideas are correct. And if they aren’t it doesn’t matter, because it’s important enough to enagage with the poster and give it that much thought. It’s a thought-provoking image, very carefully chosen (make no mistake about that), and in some way it speaks to everyone that sees it. And yes, it is haunting, but for reasons that may only become apparent if you watch the movie. Otherwise, it’s quite a straihgtforward poster, design-wise, with a handful of fulsome, praiseworthy quotes above the title, all indicating just how good is the movie, and reinforcing the potential viewer’s need to see it, and how well they’ll be rewarded for doing so. 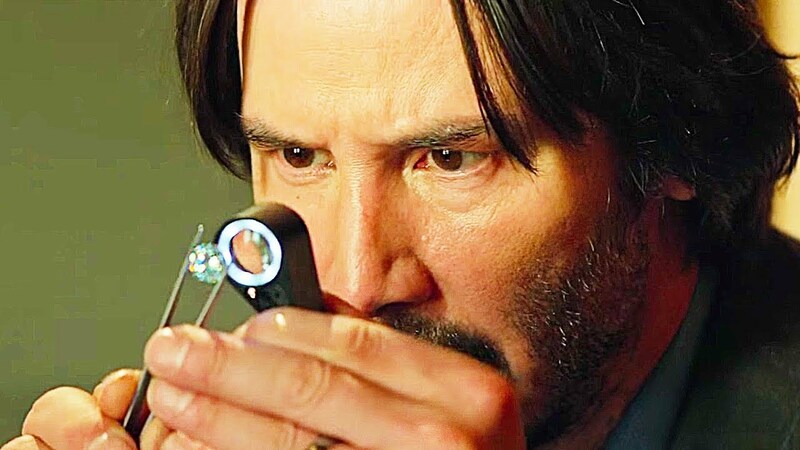 These kinds of critical soundbites emphasise how well recieved the movie has been amongst the critics, and promise an exceptional viewing experience, and on a par with the poster’s salutary effectiveness. Add the regular formatted credits aong the bottom of the image and you have another poster that acts as an intriguing reference to the movie it’s promoting, and an arresting, complex, mysterious image all by itself. 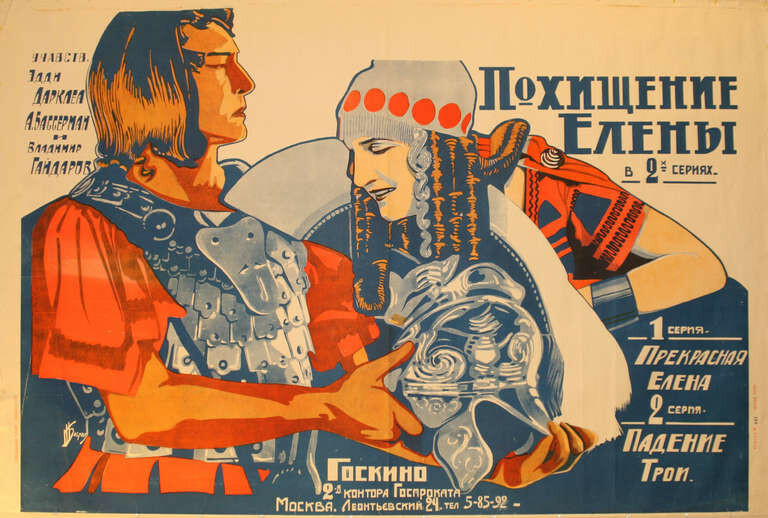 The oldest item yet to feature on Poster of the Week, this Russian-made poster for the German silent epic, Helena (1924, aka Helen of Troy), is a great example of avant garde design, and features the bold use of a limited range of colours. It’s striking, grabs the attention, and offers lots of detail that draws the viewer’s attention (and a little unwillingly at that). The image is the key factor in the poster’s design, with Vladimir Gajdarov’s Paris posing regally as if bathed in the rays of the setting sun, his handsome, aquiline features made all the more dramatic by his closed eyes and proud bearing. He’s like a god, his striking countenance offering no doubt that here is the movie’s hero in all his costumed splendour. His tanned, sun-blessed skin tones and wavy brown hair complement each other perfectly, and they blend seamlessly into the burnt orange flare of his tunic, and then on down into his right arm. Only the silver-grey of his breastplate breaks up the effect, but its presence there works, the juxtaposition of the deep reds and the shiny silver-grey proving arresting. As we pan across the bottom half of the poster, there’s Paris’s helmet, an almost isolated pocket of silver-grey that features strange whorls and curlicues. It’s as if there should be a pattern there, something to occupy the eye as it lingers on the helmet, but the effect isn’t that considered or organised. Each swirl is independent of the others, and each has its own flow and purpose (even if, ultimately, we don’t know what that purpose is). Paris holds his helmet in place with rigid formality, an extension of his pose to the left. But what’s this? There’s something odd going on in the poster’s centre. There’s something keeping Paris and Helen of Troy apart. At one end, by Paris’s left hand, it looks like it could be a fur, but it’s clearly attached to some kind of material that at its other end is too sharply defined to be from an animal (it also looks as if Paris would impale himself on it if he leans forward too far). This part of the image doesn’t make any sense, even if you accept that it’s the cockade to Paris’s helmet, and especially with the way that Edy Darclea’s Helen is leaning over it in her efforts to be closer to Paris. She looks both uncomfortable and awkward in her positioning. Her gaze, such as it is with her eyes being closed, isn’t even in line with that of Paris’ gaze, and her smile seems both unlikely and inappropriate. Helen is further let down by the artist’s choice of hat wear. With its truncated top and red circles it’s the Ancient Greek equivalent of a bobble hat, but without the telltale bobble to give it all away. Her skin tone is problematical as well, with its light orange appearance looking too pale against the reds and greys near to her. And what we can see of her tunic reveals a distinct “peasant blouse” effect, an unlikely choice given the period. All this – and let’s forget about the lone ringlet allowed to drape itself over her shoulder – serves to make Helen a less effective component of the overall image than her lover, Paris. Deliberate? We’ll never know, but it’s strange that one side grabs the attention for all the right reasons, and the other side does the same but for all the wrong reasons. Of course, this being a Russian poster, the text is in Cyrillic, with the main title given prominence near to the top right hand corner. 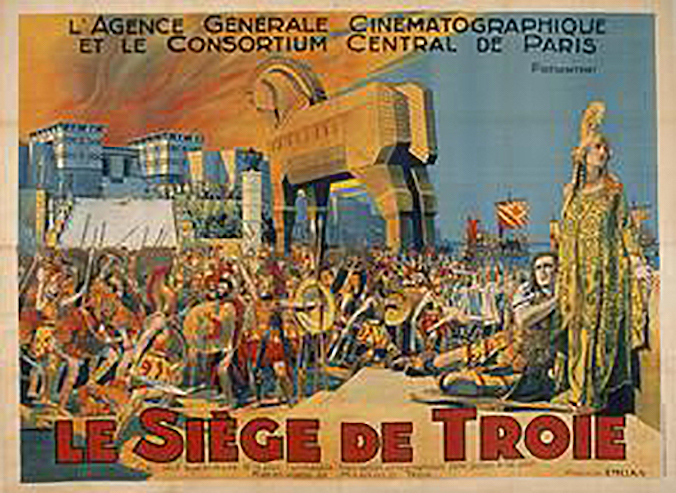 Down in the right hand corner we have the movie’s two sub-titles: Part 1 – The Elopement of Helen, and Part 2 – The Fall of Troy, while crammed into the space below Paris’s right hand is what appears to be details of a limited engagement at one of Moscow’s cinemas. But if you have to spare a thought for anyone connected with this production, then it’s the principal cast of Darclea, Gajdarov, and Albert Steinrück that come off worst: they’re the names squashed between the back of Paris’s head and the edge of the poster. However, the text does make for a nice counterpoint to the main image, and even if it’s been added wherever there’s a space, it’s still effective in terms of the overall image. One of the things that never happened in the Golden Age of Cinema was an author being given the opportunity to make a movie of one of their novels or stories. Some were employed to adapt their novels and stories, but none were ever allowed to step behind the camera as well and actually direct the movie. Nowadays, this isn’t so unusual, but it’s also still not very prevalent. So step forward Shamim Sarif, author and movie maker, who has been making movies from her novels from the very beginning. She is possibly unique in this way, and has gained a very good reputation from working on both sides of the creative arena. Despite the Falling Snow is the third movie she’s made from one of her novels, and while she may be well regarded in some quarters as the perfect person to adapt her work – after all, who knows it better than she? – the finished product here isn’t quite the testament to her talents as a director. 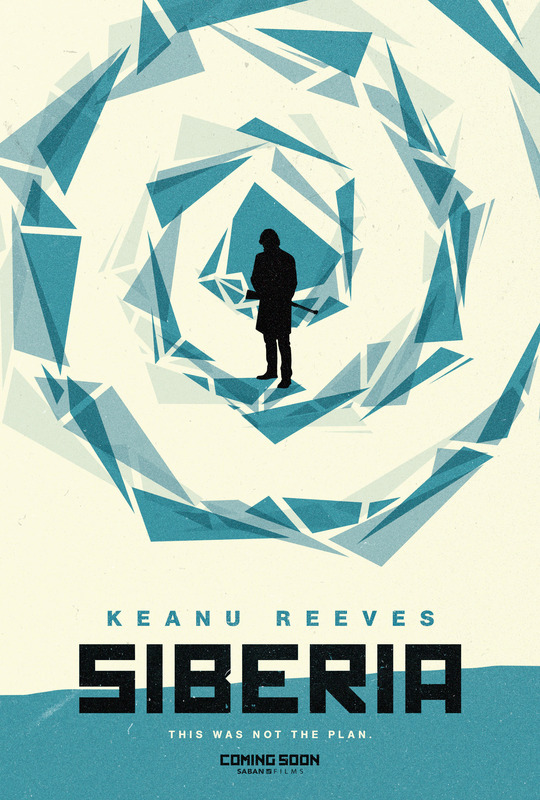 The movie begins in New York in 1961 with the defection of a Russian government official called Sasha (Reid). As he’s helped to escape from his Russian handlers, he asks about his wife, Katya (Ferguson). She’s back in Moscow, but his new, US handlers have no idea where she is or what has happened to her. Fast forward thirty years and Sasha (Dance) is a successful restaurateur who has a niece, Lauren (also Ferguson) who is the spitting image of Katya, and who wants to travel to Moscow to try and find out what happened to her aunt. Sasha refuses to go with her, though, so Lauren, who’s lucky enough to be an artist who’s been asked to mount an exhibition in Moscow, heads off by herself. While Lauren’s story plays out in 1991, Katya’s story plays out in tandem from 1959 to 1961. Katya is a teaching assistant who’s also helping her friend and government official Misha (Jackson-Cohen) steal secrets and pass them on to the Americans. At a party she meets Sasha but is unimpressed by him. It’s only when Misha persuades her to get close to Sasha because of his position in the Kremlin that she finds herself falling in love with him. Meanwhile, in 1991, Lauren meets and befriends a journalist called Marina (Traue) who helps her in finding out about Katya. Marina learns that Misha (Head) is still alive, and they make plans to visit him. When they do they find he’s become an embittered, angry old man who wants nothing to do with them. Back in 1961, Katya and Sasha wed, but she agonises over whether she should tell him she’s a spy. In 1991, Marina’s behaviour becomes suspicious, and the unexpected arrival of Sasha in Moscow prompts a revelation. Katya’s decision to tell Sasha leads to his agreeing to defect, but thirty years on only Misha holds the key to what happened to her. 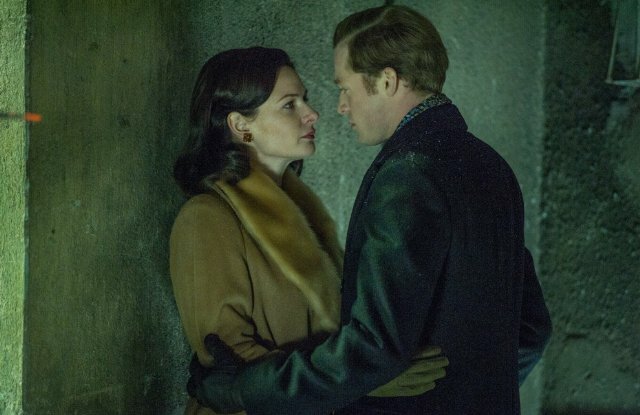 A romantic drama set – partly – during a period of intense political and social upheaval, namely the early Sixties, Despite the Falling Snow has such a generic feel to it that it could have been made about any couple in any country at any time, and still have made the same kind of impact. This is thanks to Sarif’s uninspired, pedestrian direction, and a visual style that never rises above formulaic. It’s as if Sarif has forgotten to add the drama needed to make the narrative more than just a succession of events and scenes that show how two people came together and then were separated by fate in the form of expediency. Even when suspicion falls on the officials in the Kremlin, including Sasha and Misha, it’s a moment where real terror at being found out translates instead as a mild concern. Misha is almost fatalistic about the whole thing, a reaction that not even the talented Jackson-Cohen can make convincing; this man should be even more scared than he’s been already. But if the steady stream of narrative downplaying that infuses the scenes in early Sixties Russia also makes those scenes feel awkward and inconsistent, then spare a thought for those set in 1991. Sarif makes reference to the Berlin Wall having come down two years earlier, but her new Moscow is an uneasy mix of contemporary US stylings and Russian forebearance, as evidenced by Marina’s designer clothing and old Misha’s tower block abode. The juxtaposition jars, and adds to the overall feeling that Sarif wants her characters to look glamorous against the concrete backdrop of post-Stalinist Russia (Katya seems never to be without her red lipstick). The visual conceit is highlighted by Sarif’s decision to have Katya and Sasha, and Lauren and Marina, walk along the same snow-laden stretch of riverside pavement at different times, but instead of creating an echo of past events, it appears to be more of a budgetary deference than a creative decision. Elsewhere, narrative developments that appear out of nowhere are treated as if they are absolutely necessary to the overall plot, and that includes a left-field decision to have Lauren and Marina begin a sexual relationship. Old Sasha’s willingness to stay home out of harm’s way is overturned by the contents of a fax, while Old Misha’s decision to spill the beans about what happened to Katya is spurred on by feelings of guilt, and that old chestnut, a terminal illness. And when the viewer does find out what happened to Katya, Sarif handles it in such a hamfisted way that any emotional weight the scene might – or should – have engendered with said viewer, is lost before the scene’s even begun. 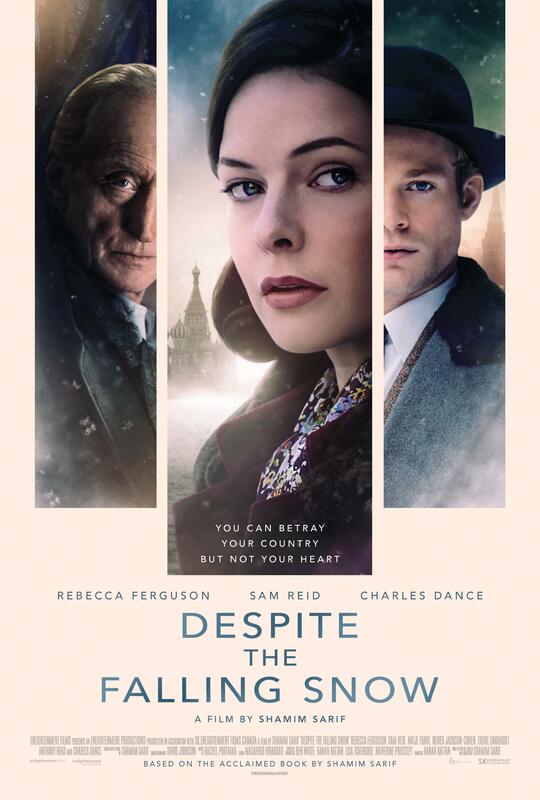 A lacklustre movie then, one that doesn’t even aim particularly high, but which does feature another of Charles Dance’s supporting roles (is he semi-retired now, is that what’s going on?) and a level of political naïvete that further dilutes the drama that isn’t really there. 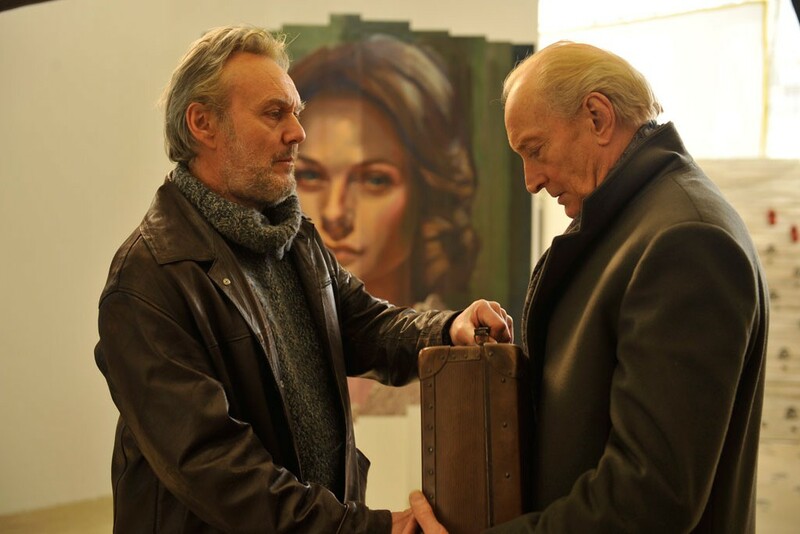 On the performance side, Ferguson is unable to make much of either role, as Sarif never allows the viewer to engage with them as anything other than under-developed non-characters. Reid is earnest but treading in a pool so shallow it’s practically evaporated, while Traue is allowed to look moody and resentful in equal measure even when she’s kissing Ferguson. Dance and Head bring a degree of old-time gravitas to the proceedings, but even they can’t avoid the pitfalls that are inherent in the script. On this showing, Sarif needs some more time to clarify her goals in making such a movie, and maybe next time, getting someone else to direct. Rating: 4/10 – Sixties Moscow never looked cleaner, quieter, or more family friendly than it does in this movie, and that’s despite several efforts to make it look as if it’s not brand new; as a drama it never gets started, despite the best efforts of its cast, and by the end you’ll only want to know what happened to Katya just so that you can move on in (roughly) the same way everyone else does: without too much fuss. Here’s a question for you: when did you last enjoy – really enjoy – a Jackie Chan movie? Was it Dragon Blade (2015)? Or Chinese Zodiac (2012) perhaps. Or was it even further back? The Karate Kid (2010) maybe. If it’s been even further back, don’t worry, it’s likely you’re not on your own. Back in 2012, Chan told reporters at the Cannes Film Festival that Chinese Zodiac was going to be his last action movie. He was getting too old, and he felt the world was “too violent”. And for a whole year it seemed that Chan was sticking to his word… and then he went and made Police Story: Lockdown (2013). So much for that, then. 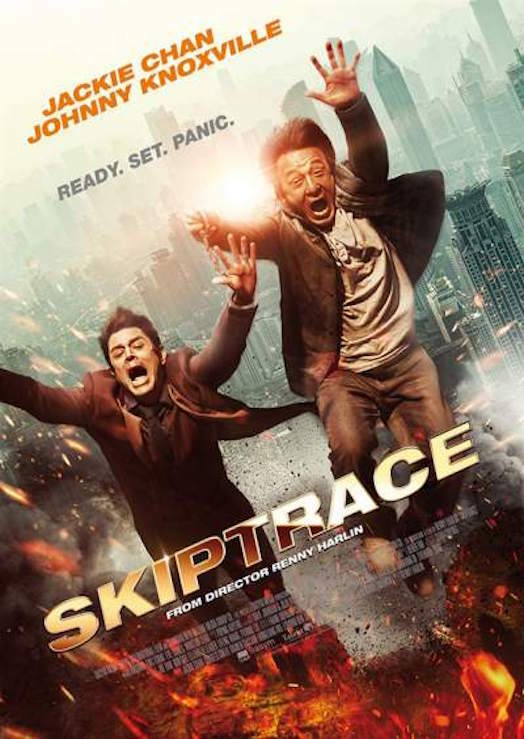 And now he’s back again with another action movie, Skiptrace, and this time, it’s… practically dead on arrival. Let’s try another question: when did you last enjoy – really enjoy – a Renny Harlin movie? Was it The Legend of Hercules (2014) Or Devil’s Pass (2013)? Or something from the time when his name on a picture was reason enough to see it, say back in the Nineties. 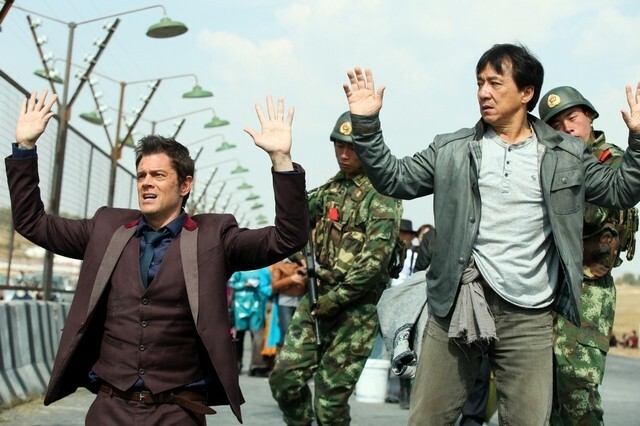 Unlike Chan, Harlin has never announced his “retirement” from action movies, and now he’s back with Skiptrace, and this time… well, you get the picture. There are many, many, many movies that are made because somebody somewhere thought they would be a good idea. Movies like Skiptrace, which are made both for a domestic market (in this case, China and Hong Kong) and a wider, international market, show up each and every year. Some succeed in gaining that wider, international success the makers hope for – the Internal Affairs trilogy, for example – while the majority barely make an impact. In between are movies such as Skiptrace, with its bankable, internationally famous star; less bankable but still well-known co-star; even less bankable but still fairly well-known director-for-hire; country-hopping locations; uninspired action set-pieces; and a patience-testing script that has no intention of making any kind of sense at any point in the movie. The plot, such as it is, has Chan’s dogged cop, Bennie Chan, still trying to avenge the death of his partner (Tsang) at the hands of criminal mastermind the Matador. Nine years have passed since that terrible event, and Bennie has spent the years since in trying to prove that high-profile businessman and philanthropist Victor Wong (Chao) is the Matador. Of course he’s been unsuccessful, and his latest attempt leads to the kind of property destruction that warrants his being told to take a month’s leave of absence. In the meantime, his deceased partner’s daughter, Samantha (Fan), has infiltrated Wong’s organisation in an attempt to find some evidence against him… but she’s drawn a blank too. It’s not until con man and gambler Connor Watts (Knoxville) turns up at a casino run by Wong and witnesses a murder that Bennie has a solid chance of bringing Wong to justice. So far, so straightforward. But the script, already over-complicating things by having Bennie as Samantha’s guardian, introduces us to Connor by putting him in jeopardy in Russia thanks to an ill-advised relationship with a mobster’s daughter. A series of non-linear flashbacks to the previous twenty-four hours reveals Connor’s actions at the casino (including winning a large amount of money), his meeting Samantha, trying to avoid the Russian mobster’s goons (out to bring him back to Russia so he can be put in jeopardy), witnessing a murder in the process, and coming into possession of a mobile phone that will reveal the identity of the Matador. Too much already? Don’t worry, there’s more – much more. What follows is a tortuous road movie that sees Bennie and Connor eventually learn to respect and admire each other, and which takes in such locations/developments as the Russian bowling alley where Connor finds himself in peril, a train that both men jump from as soon as they hear the ticket inspector approaching, buying the slowest vehicle in Mongolia without ensuring it has enough petrol to get them anywhere, an encounter with a group of Mongolian tribespeople (more of which later), a game of bluff and double bluff at the Chinese border that sees them arrested, their opportune “rescue” by the Russian mobster’s goons, a whitewater raft ride, and eventually, a zipline escape from Wong’s men. There’s more still, but it’s all too tiring, a series of desperate attempts by the screenplay – step forward writers Jay Longino and BenDavid Grabinski, whose first collaboration this is – to keep viewers from nodding off or asking themselves why they’re still watching after the first half an hour. If the events listed in the previous paragraph sound exciting, don’t be fooled: even handled by Harlin, not exactly a slouch when it comes to action movies, those sequences lack energy and are shot through with the kind of slapstick humour that Chan’s movies are famous for. And it needs to be said: Chan is getting on. His decision to “retire” back in 2012 should have been followed through, because in Skiptrace you can see just how slow he’s become. The speed and intricacy of his past fight scenes are absent here, with blows and parries signposted well in advance and Chan being given more than enough time to get into position for each. And then there’s the encounter with the Mongolian tribespeople. It’s a standard sequence to begin with, a misunderstanding leading to Connor and then Bennie squaring up against the tribe’s best fighters. The misunderstanding is resolved and the tribespeople take to the pair as if they were long-lost relatives. A feast ensues, and after a few too many drinks, Bennie begins to sing a song. A young woman joins him, and soon everyone is singing along as well, word perfect and in perfect harmony. The song is Adele’s Rolling in the Deep, and it’s possibly the most bizarre moment you’ll ever see, and hear, in a Jackie Chan movie. It’s also the best example of how haphazardly the script has been assembled, with sequences obviously arrived at and decided on before a plot was actually dreamt up. Like so many of these productions, the editing is the worst aspect of all, leaving the movie looking like a cinematic patchwork, with shots truncated and poorly framed, and the performances (such as they are) suffering as a consequence. Chan is his usual amiable self, unstretched by the material, while Knoxville’s comic relief portrayal of Connor serves as a reminder that when a script is this bad the actor doesn’t have a way of countering it. Elsewhere, the supporting cast do what they can with their underwritten roles, with only ex-WWE wrestler Torres standing out thanks to her impressive physicality. Harlin is a bland presence in the director’s chair, his regular visual flair absent from the mix. It’s hard to believe that this is the same man who directed Die Hard 2 (1990) and The Long Kiss Goodnight (1996). But then, it’s hard to think of anyone who could have made something even halfway decent from the material on offer. 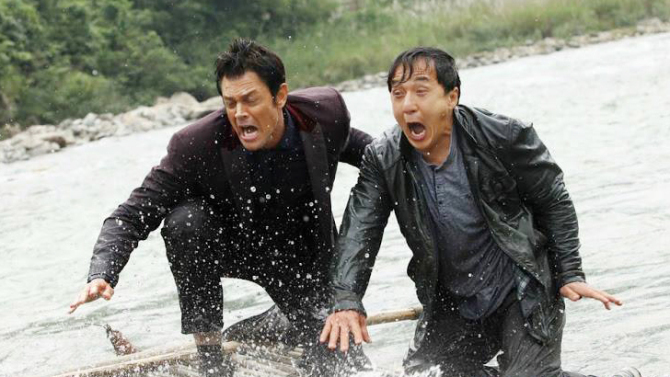 Rating: 3/10 – not the finest moment in Chan’s career, Skiptrace is hard to sit through and barely acceptable as entertainment; with all the vitality of a contractual obligation, the movie crams in a surfeit of incidents that, ordinarily, would keep at least another two movies happy – but ultimately, it doesn’t have any idea of what to do with them. In 1957, Rudolf Abel (Rylance) was arrested by FBI agents and charged with three counts of conspiracy as a Soviet spy. He was defended by an insurance attorney called James B. Donovan (Hanks), but despite Donovan’s best efforts (and to no one’s surprise) Abel was found guilty on all counts and sentenced to a total of forty-five years in prison (which was a surprise). An appeal to the Supreme Court was rejected and Abel remained in jail. In 1960, US pilot Francis Gary Powers (Stowell) was shot down while on a spy plane mission over Soviet territory. He was charged with espionage against the Soviet Union and sentenced to ten years in prison. In 1961, American economics student Frederic Pryor (Rogers) found himself arrested and held without charge by the East German police. In 1962, Donovan, at the request of CIA chief Allen Dulles (McRobbie), travelled to Berlin to negotiate the exchange of Abel for Powers; when he learned of Pryor’s incarceration he made the young student’s release a part of the deal as well. On 10 February 1962, Pryor was released at Checkpoint Charlie, and Abel and Powers’ exchange took place at the Glienicke Bridge. These are the basic facts that Bridge of Spies elects to tell, and while it makes it clear from the beginning that the movie is “inspired” by real events, writers Matt Charman and Joel and Ethan Coen have expanded on those facts in order to fill in the gaps and make the movie more audience friendly. They’ve done a terrific job, with the politics of the time, both American and Soviet, explored and explained with a conciseness and brevity that allows the story to breathe and not be bogged down by endless exposition (there’s even room for a brief exposé of East German politics as well). What this means is that Bridge of Spies becomes a movie where all the twists and turns don’t leave the viewer baffled as to what’s going on, and they have a firm grounding as to why it’s all happening. With the political and espionage themes so effectively set up and presented, Spielberg is left to get on with doing what he does best: telling a complex, complicated story easily and with surprising verve. The director seems at home when making historical dramas, and he has an enviable track record in the genre, from Empire of the Sun (1987) to Schindler’s List (1993) to Munich (2005) to Lincoln (2012). 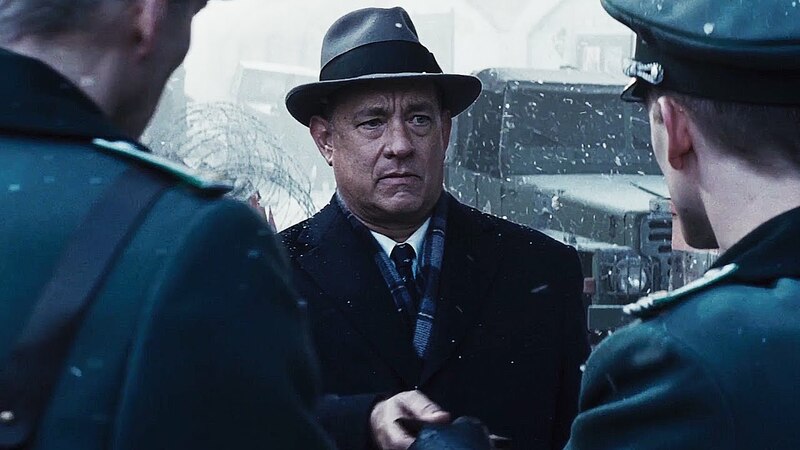 Spielberg is rightly regarded as a populist movie maker, but it’s his forays into history that often prove more satisfying, and Bridge of Spies is no different. Most of the “action” takes place behind closed doors, and consists generally of conversations between Donovan and one or two others. But it’s during these scenes that Spielberg teases out the subtleties and unspoken nuances of the various negotiations and political manoeuvrings, and makes them resonate in a way that few other directors are able to. 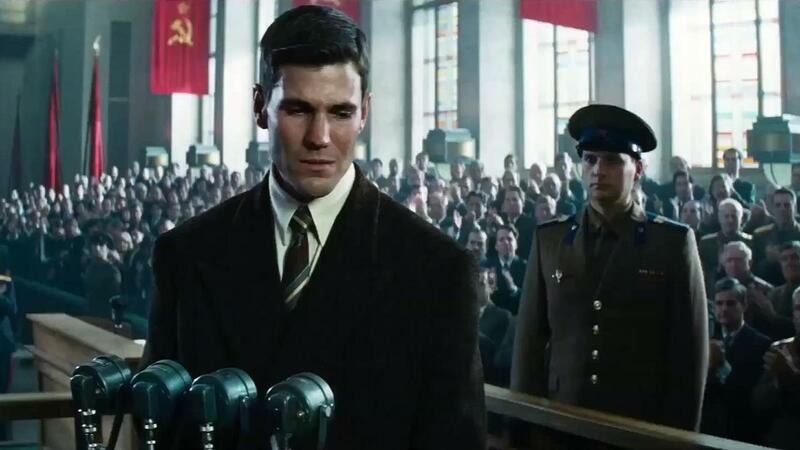 As Donovan juggles the demands of his own government with the needs of the Soviet Union, and the aims of the newly created East German authorities, Spielberg shows how close everyone is in terms of not wanting to be seen to be directly involved in any of the negotiations – Donovan himself is officially a private citizen representing his client, Abel – and how appearances are more important than the truth. Donovan is seen as an honorable man doing the best he can, and as he sees fit, in difficult circumstances, and his early brushes with his own legal system (which seems happy to ignore due process and the Fourth Amendment when it comes to prosecuting Soviet spies) show just how determined and independent-minded he is; or, as Abel puts it, a “standing man”. Donovan provides the moral compass to help audiences steer their way through the various schemes and ruses that each side comes up with. In the more than capable hands of Hanks, Donovan is an ordinary man thrust into the extraordinary world of legal and political expediency and asked to put aside his personal and moral beliefs. That he doesn’t, and that he doesn’t in such a way that he also doesn’t appear to be pedantic or judgmental (at least not publicly) is a measure of Hanks’ controlled portrayal and what’s needed to make Donovan both sympathetic and credible. Hanks is matched by an equally impressive performance from Rylance, his stoic features and polite bearing providing a neat counterpoint to the American public’s view of him as reprehensible and an enemy of the American way of life. At different points in the movie, Donovan asks Abel the same question but in different ways: “Aren’t you worried by what might happen to you?” And always he answers: “Would it help?” Rylance plays Abel quietly and with dignity, his awareness of his situation and the political games going on around him expressed with a resigned authority. Spielberg recreates the period with his trademark exactitude, and aided by longtime collaborator Janusz Kaminski highlights the differences between US and East German life by emphasising Powers’ homeland via warm tones and an ingrained sense of comfort, while recreating Berlin’s post-War identity as the still-blasted, partially rebuilt city it was. The contrast is illuminating, adding to Donovan’s initial feelings of unease as he navigates the treacherous waters of international diplomacy. It’s here though that the movie loses some of the traction it’s built up along the way. Abel’s arrest and subsequent trial, along with Donovan’s hampered attempts to defend him properly, are expertly handled by Spielberg, and if the movie had only been concerned with Abel’s case then it would be an unqualified success. 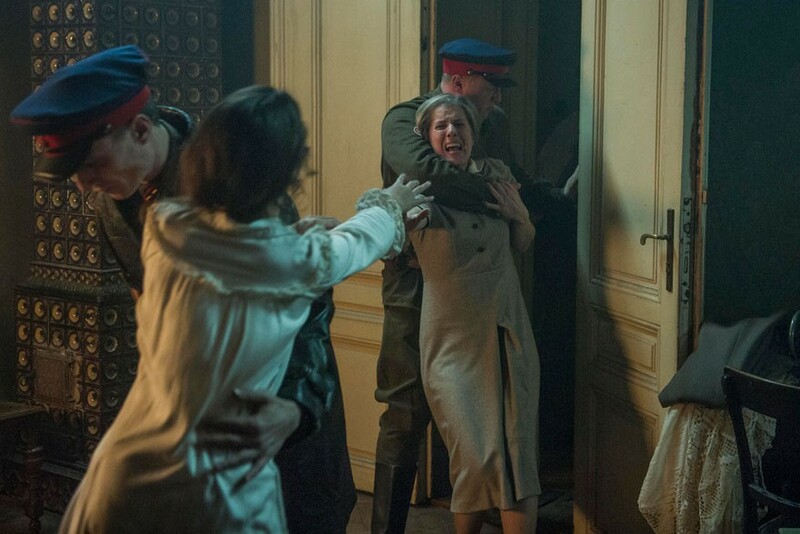 But once Donovan arrives in Berlin, and despite the various obstacles that threaten to derail his negotiations with the Soviets and the East Germans, there’s no tension in these scenes. Donovan overcomes each obstacle by either refusing to accept the problem is worth worrying about, or by making demands in the hope that the other side will blink first. By making this stretch of the movie so “easy” for Donovan, by the time we get to the exchange at the Glienicke Bridge, there’s so little reason or chance for things to go wrong at the last minute that any apprehension on the audience’s part has evaporated long before. It’s a shame as the scenes in Berlin should have provided most if not all of the movie’s dramatic highlights, but alas it’s not to be. There is humour however, with Donovan’s fish-out-of-water situation used to good effect, and it’s drily executed by Hanks and perfectly in keeping with Donovan’s increasingly weary view of the world (at one point he remarks that the full names of the Soviet Union and East Germany are just too long). Away from Donovan’s efforts to negotiate the exchange and Pryor’s release, there’s a powerful sequence that shows Powers’ U2 plane being shot down and just how lucky he was to survive (though the movie makes it clear he shouldn’t have), and we see the initial creation of the Berlin Wall, a sight that remains unnerving even now that it’s gone. 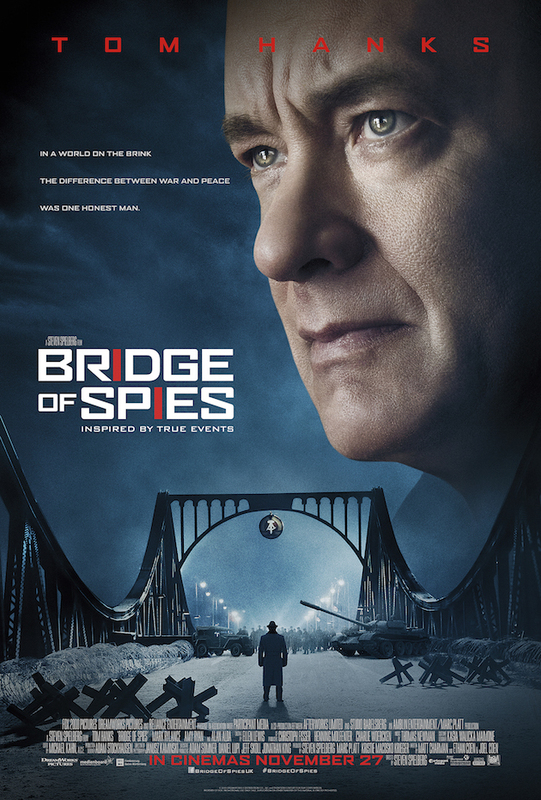 Rating: 8/10 – measured, patient and deceptively simple in its approach, Bridge of Spies lacks resonance in terms of what’s happening in the world today, but as an examination of a particular event in recent world history it’s still fascinating and informative; capped by another of Hanks’ effortless performances, and Spielberg’s mastery of the medium, it’s a movie that holds the attention throughout even if it isn’t particularly thrilling.